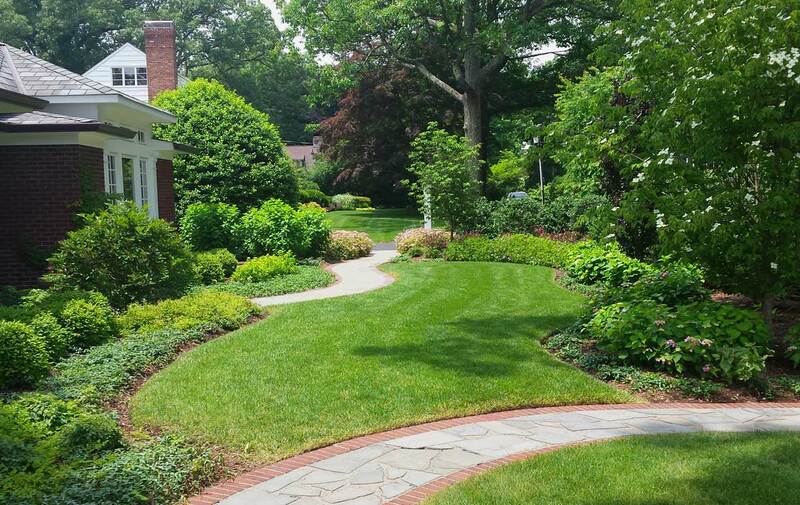 Ridgewood, NJ – Front entrance garden. 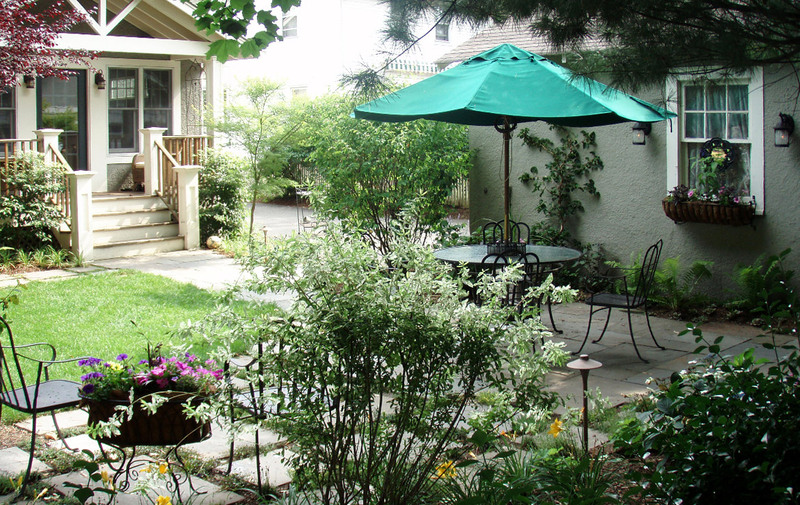 Ridgewood, NJ – Bluestone walk and autumn season annuals. 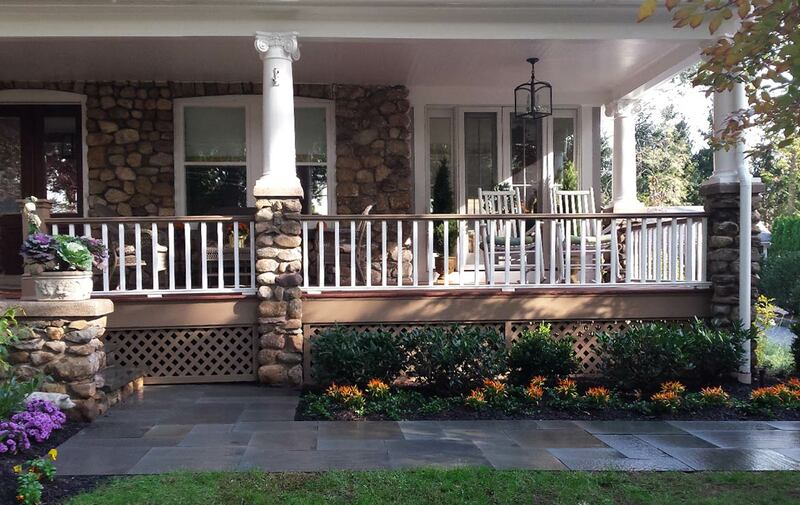 Leonia, NJ – Bluestone Patio, water feature, mahogany window box and mahogany screen. 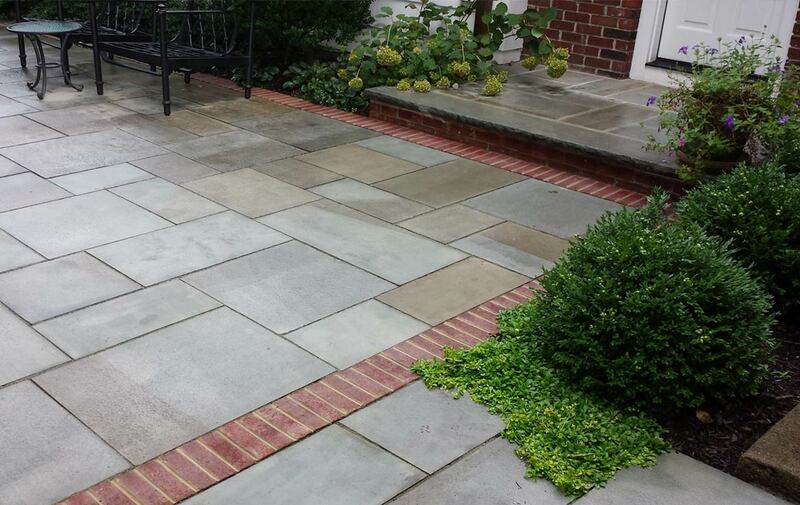 Ridgewood, NJ – Bluestone patio and landing with brick details. 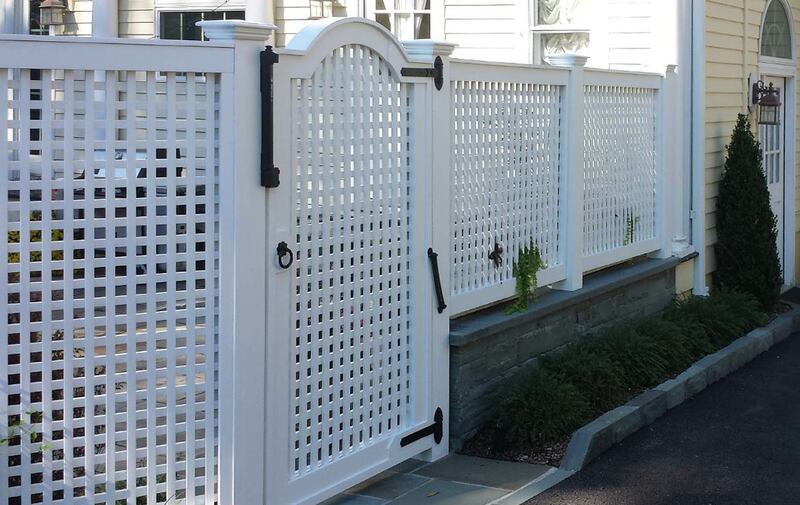 Ridgewood, NJ – Custom lattice fence and gate. Bluestone curbing and wall. 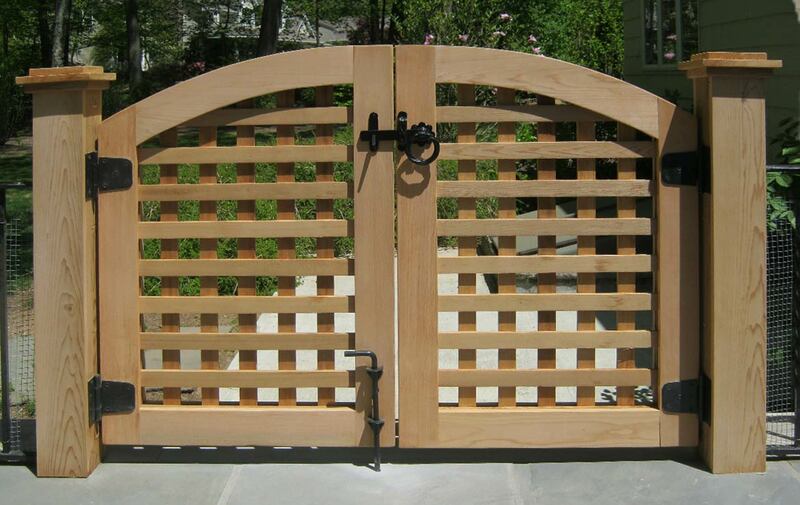 Allendale, NJ – Custom double cedar lattice gate. 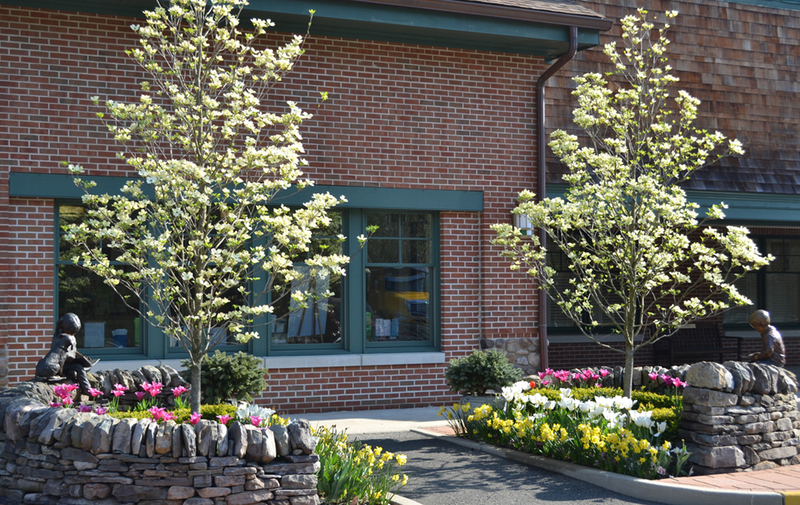 Franklin Lakes Library, Franklin Lakes, NJ – Stone walls encompassing Flowering Dogwoods and Spring bulbs at Library entrance. 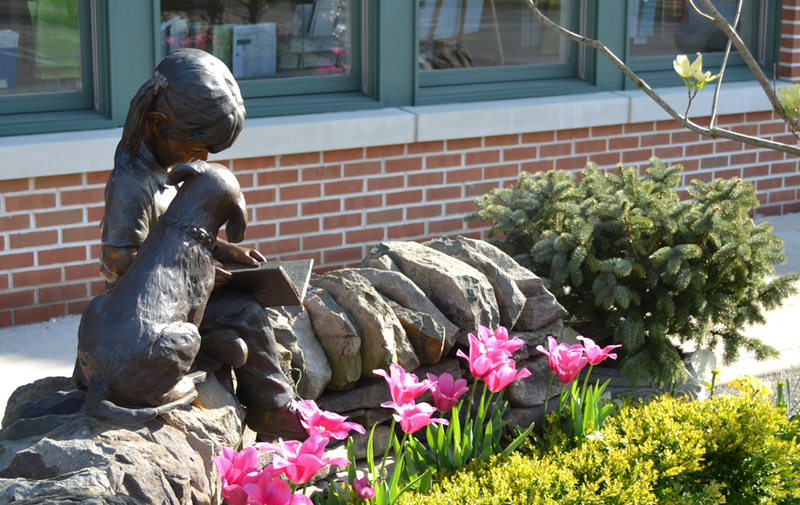 Franklin Lakes Library, Franklin Lakes, NJ – Sculpture on stone wall within garden at Library Entrance. 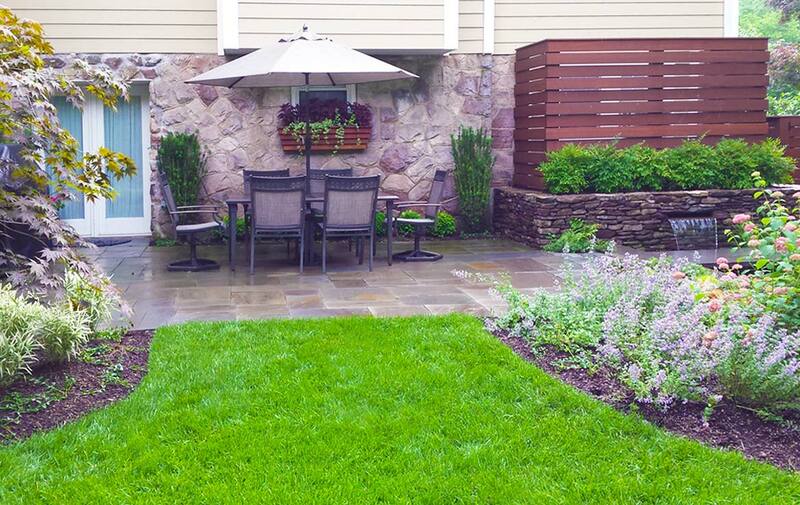 Glen Rock, NJ – Hidden garage side garden patio. 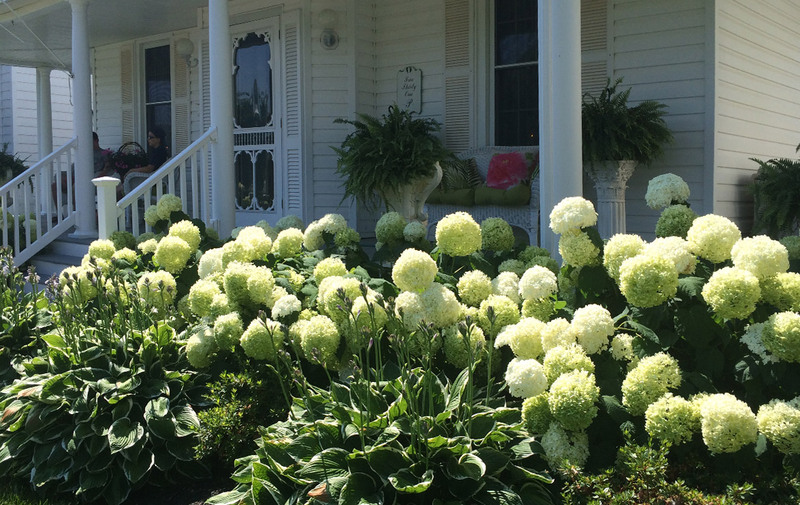 Avon-by-the-Sea, NJ – Sea-side garden of white flowering Hydrangeas and Hostas. 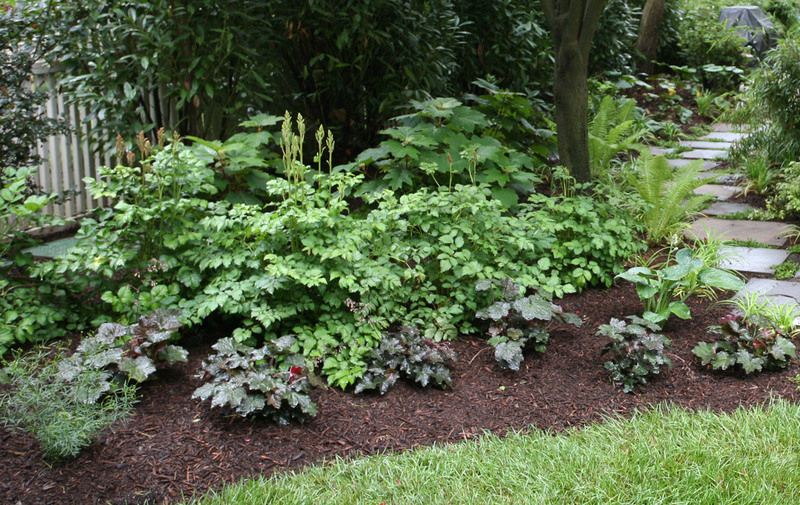 Glen Rock, NJ – Newly planted shade garden.